First predecessor were established as Bohemian Football Union in 1901 in Austro-Hungarian constituency Kingdom of Bohemia. 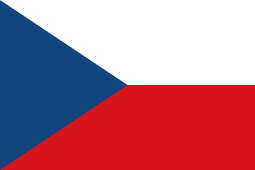 From 1922 to 1993, during the existence of Czechoslovakia, the association was known as the Czechoslovak Football Association (Czech: Československá asociace fotbalová; ČSAF) and controlled the Czechoslovakia national football team. After the partition of Czechoslovakia the association took the name Bohemian-Moravian Football Union (Českomoravský fotbalový svaz; ČMFS) until June 2011.